The R-14 is the newest addition to the Straight Shooter line. Featuring a 14" wide capacity, the R-14 can handle the big stuff! 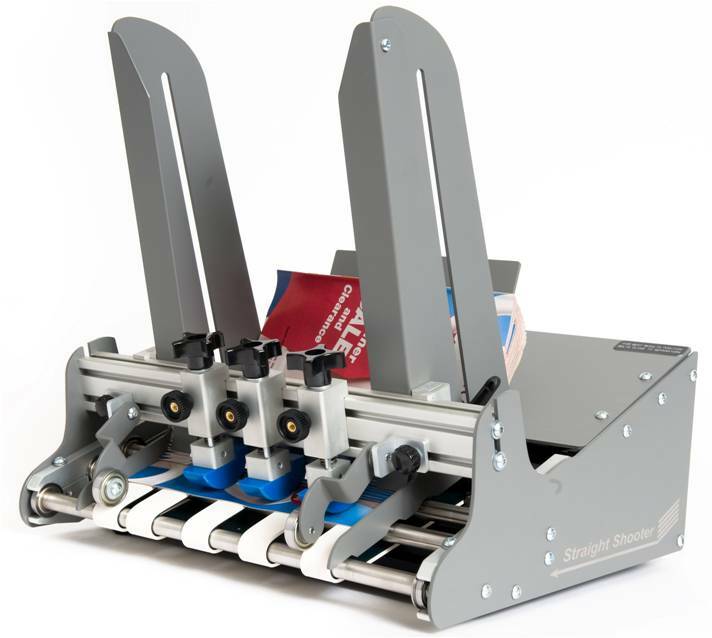 This design makes repositioning the feed belts easier than ever! You can even adjust them while running your job! 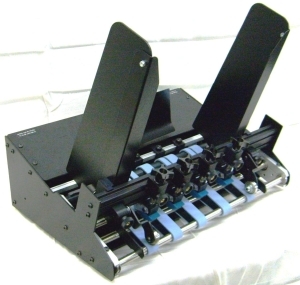 Ideal for ink jetting, tabbing, folding and any application requiring high speed continuous feed of single pieces. 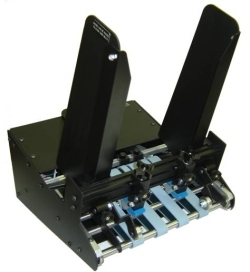 Big Feeder - Small Price! 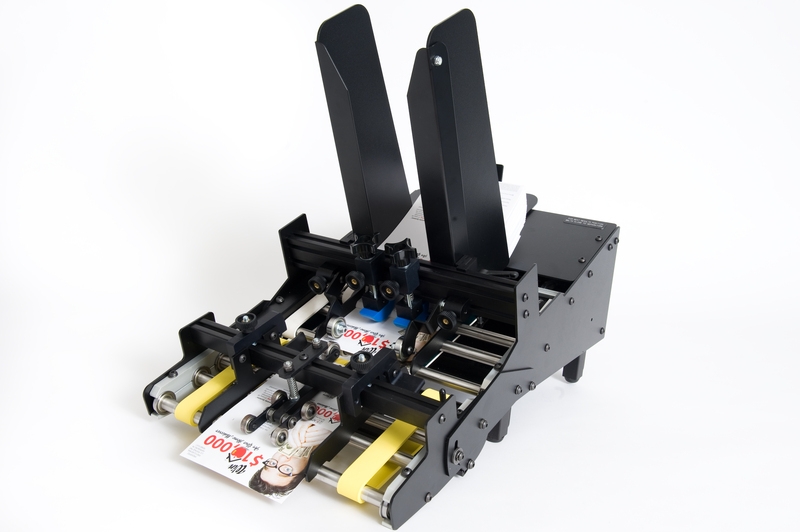 The C-20 gives you all the great features of our other feeders in a wide format! 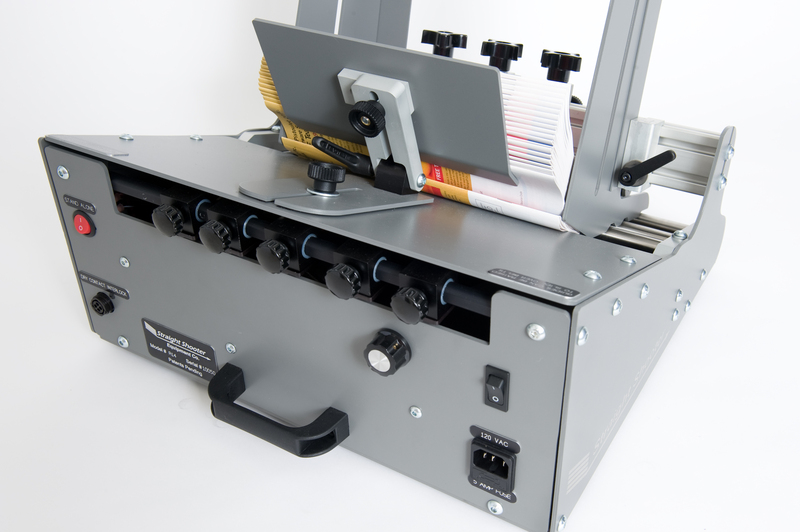 It handles documents up to 20" wide by 18" long! C-12E Continuous Feeder with adjustable angle acceleration table. The C-12E delivers your documents straighter, faster and smoother! 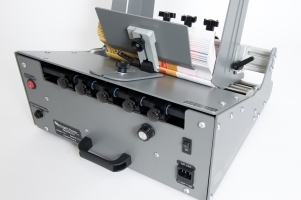 Position the table flat for ink jetting or tabbing and downward for collators and bindery equipment. Simple to setup, simple to use!